It is a simple, elegant and powerful toolkit with a very small footprint, used by those developers who want to create full-featured Web Applications. With the help of this tutorial, you will be able to develop your project faster as Codeigniter Framework provides a rich set of libraries for commonly needed tasks, also a logical structure and simple interface to access these libraries. It simply minimizes the amount of code needed for a given task while working on your project. This Codeigniter tutorial will cover everything from scratch, orderly and systematically, to enable you to operate it fully. Topics as Mentioned: Codeigniter Installing, Codeigniter Architect, Models, view, Database Configuration, Controller, Display Record, Delete Record example etc. 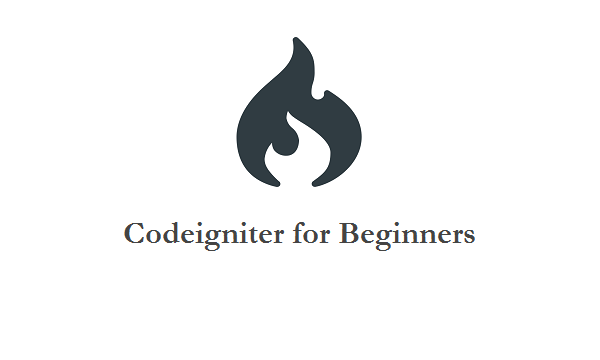 This Codeigniter tutorial is useful for developers who want to develop websites with creativity and ease using Codeigniter framework, as well as for the beginners who want to understand the same from scratch. We suggest you that, for acquiring complete benefits of this tutorial, you should already have knowledge of core PHP, HTML, and Advance PHP. For this tutorial, codeigniter version of 3.0.1 has been used for all the examples. In case you want to brush up on core PHP, HTML, and Advance PHP, or any of it, you can see Our tutorials on the same using the following links. Even though we hope that you don’t find any problem during the tutorial, still in-case you encounter any problem kindly post it in the contact form, we will personally assist you on the same.